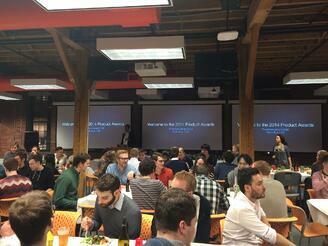 Last week, we celebrated an incredible year with our very first Product Awards Banquet. Boston’s record-breaking snowfall delayed the Awards not one, not two, but three times, but luckily, it only made us that more excited to cheers to the great year we had after having some time to reflect on our milestones and big wins from 2014. Our VP of Engineering, Eric Richard, kicked off the night, decked out in his finest ballroom attire, recapping how monumental 2014 was for our people and for our product. We welcomed over 45 new people to the Product team, were lucky to have 25+ stand out co-ops and interns, and celebrated a ton of promotions and new roles. Thanks to that team, we were able to build a new CRM and empower our 13,500+ customers to do even more business; in 2014, customers sent over 3 billion emails and created 486,000+ blog posts with HubSpot. We all learned one important thing about our team at the Banquet: we love giving toasts. After Eric’s reflections on 2014, the floor opened up for anyone to grab the mic and raise their glass. It didn’t take long for a line to form around the room as people waited for their turn (in some cases, more than once). Some speeches were serious, others were on the lighter side (our espresso machine got a pretty heartfelt shout-out), but all in all, the toasts captured our tight-knit culture and spirit of the evening. One of our Tech Leads even went home with an award for the best toast of the night- congrats, Mike! Most people tend to think engineers and designers are on the quieter side. Eric turned that assumption on its head when he wrapped up his talk with a surprise musical number. He sang his own original lyrics about how "you just have to ship", followed by a little tap dance action. Don’t worry, we captured it on camera! 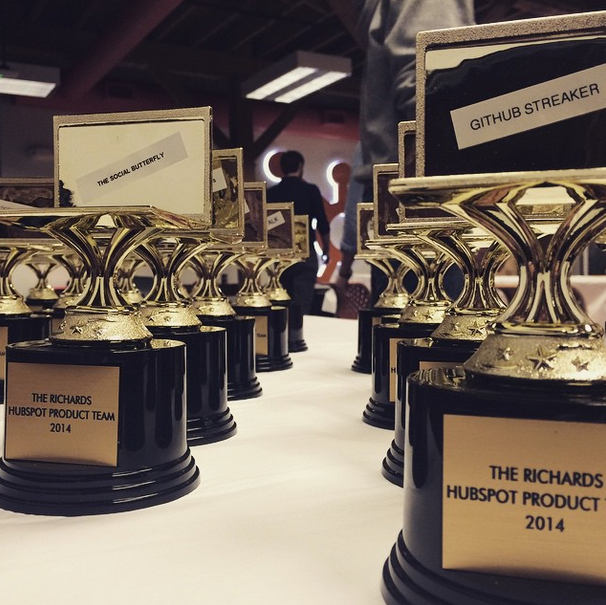 The Github Streaker Award: Zach Friss (Co-op from RIT) contributed on Github for a record-breaking 79 days in a row. 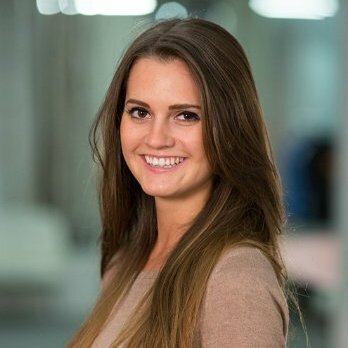 The Giver (of TinyPulse Cheers) Award: Maggie Georgieva (Product Manager) gave the most virtual high-fives to her co-workers in 2014. The Social Butterfly Award: Pat Dignan (Software Engineer) sent the most HipChats per day of anyone on the team. The Hero Award: Jen Huang (Software Engineer) responded to the most after hours PagerDuty alerts. Saving best for last, there was one more toast to make as the evening came to a close. Building a great culture doesn’t happen all on its own; you have to hire the right people and keep them engaged day in and day out, and there’s one person who goes above and beyond to make that happen. Whether she’s ordering soup for everyone on a chilly day, organizing a scavenger hunt for 100+ people, or single-handedly making sure the Banquet was a success, Becky Garber always has team happiness top of mind. And, it shows: the whole room jumped to their feet clapping to say thank you right after a toasting to Becky. It was a night to remember and we’re excited for all that’s in store for the Product team in 2015. Thank you to everyone who made it a great ride!